It’s 2014, and high time to catch up on some posts. A conversation today inspired this one, written with just a dash of my world famous sarcism and dedicated to my Dear Ole Dad. Happy New Year! 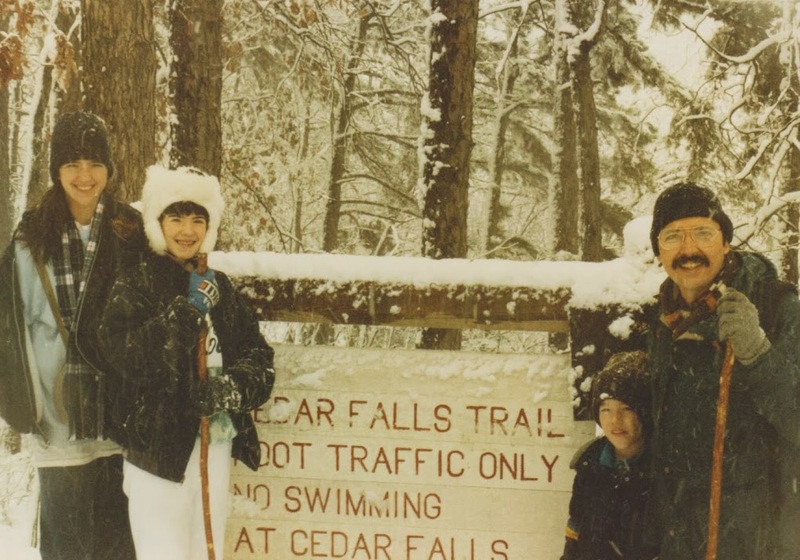 A Hike in the Snow, January 1987. This was the one I had been looking for. It happened so long ago, it seemed like one of those bad dreams that just.wouldn’t.stay.away. But finally I had the proof. Proof of the snow. 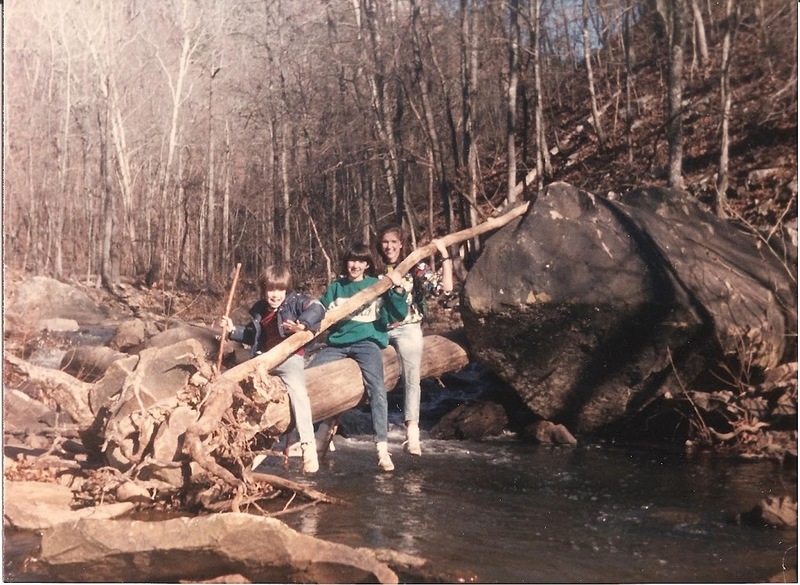 Proof of us trying to cross that stupid icy log. Proof that I DID fall into that freezing creek. Proof of the agony. Proof of the abuse, I tell you! Friends, I lived to tell about it only because my sister had the presence of mind and the cat like reflexes to scoop me up out of the water quick as lightning (thanks, Allison!). If only they had blogs back then. I’d have written a doozy I tell ya’. Wait just a second. Why all this negativity so early in the year? The past is the past, right? I guess nearly 30 years of repression may have just a little to do with the tone of this post. Have I been a little too selective in my memories of that escapade down Cedar Falls Trail? Should I ever let go of this heinous crime committed against me in the name of “family bonding” time? Yes, it is a new year after all, so maybe I should think it over for a minute. You know, let bygones be bygones right? NOT!!!!!!!!!! I’m gonna ride this train all the way off the tracks and if you’ve read this far and think I’ve fallen off my own tracks, here’s the proof I mentioned above. Make sure you read the captions! 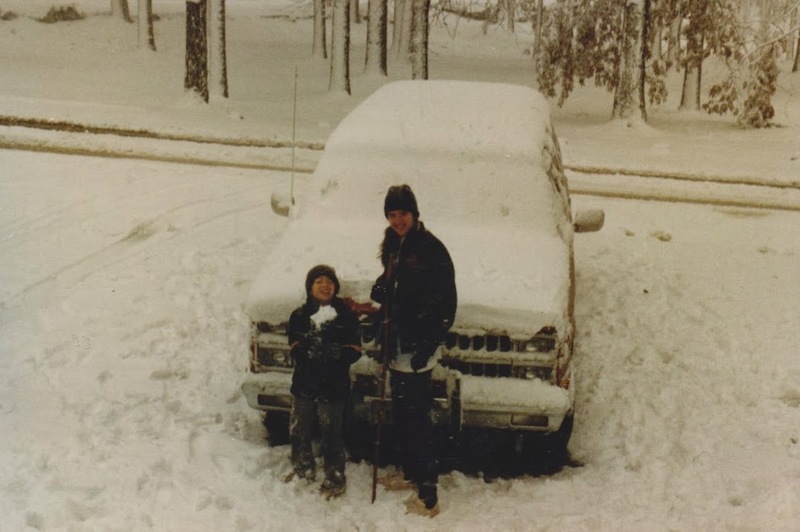 Last year (January 1986). Note the absence of snow, ice, and winter in general. “Son, you’ll look back on this one day. It probably won’t seem quite as bad in 25 or 30 years”. Funny post, B. I love how well-documented this scarring moment of your life was. But come on, the sign clearly said NO SWIMMING.